What Factors Affect My Motorcycle Insurance Rates in Vermont? Insurance companies consider many different factors when calculating motorcycle insurance premiums. Riders have little control over some factors (e.g. age, gender and marital status), and others riders often don’t want to change (e.g. coverages and limits). There are still more factors that riders in Vermont have full control over. 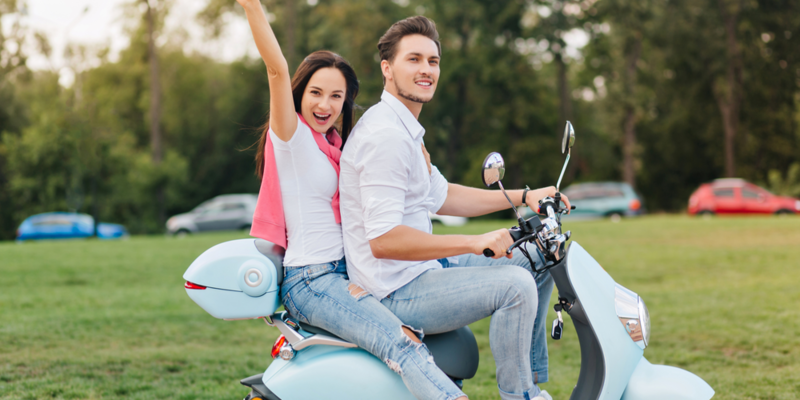 Here’s a look at this third group, along with how you can utilize these factors to qualify for lower motorcycle coverage rates. Motorcycles are often grouped according to the cubic centimeters (CCs) inside their engine’s cylinders. This measurement helps classify how powerful bikes are, for the volume inside an engine is directly correlated to the amount of power that the engine can produce. In general, bikes with fewer CCs are considered safer to own and ride because they can’t produce as much power. These bikes aren’t able to accelerate as quickly, and they frequently have slower top speeds. As a result, many insurance companies assess bikes with fewer CCs lower motorcycle insurance rates. Bikes within a certain range might be grouped together, but there are often at least a few tiers that are used to categorize bikes according to their power. To get the most powerful motorcycle possible without paying a power-related increase, ask your insurance agent to check what CC classifications your insurer uses. Your agent will be able to look up what ranges your insurance provider uses, and you can then purchase a bike that’s at the upper limit of a range. For example, you can get a motorcycle with 590 CCs if your insurer has a category that runs from 500 to 599 CCs. By getting one at the upper end of the range, you can likely maximize power while avoiding any power-related premium increase. Insurance companies often also charge more to insure supersport and sport motorcycles, and not just because these bikes tend to have more powerful engines. Supersport and sport bikes are both considered riskier bikes to ride and cost more to purchase. Insurers must take into account the increased risk and the increased cost of replacing the bikes, which insurers normally do by increasing premiums for these kinds bikes. While supersport and sport bikes may be tempting, selecting a different style of bike will probably yield savings up front and every time you pay the insurance premium. Even if you’re drawn to high-performance bikes, consider forgoing these particular options. Sometimes, you can’t legally take advantage of the increased performance on Vermont roads anyways. Aside from alarms and safety features, adding aftermarket parts to a bike will often cause motorcycle coverage rates to increase. This is because aftermarket parts increase a bike’s value. In a few cases, motorcycle coverage policies offer some protection for aftermarket parts as a standard option. Most of the time, though, the value added by aftermarket parts exceeds any standard coverage for the parts. Thus, riders usually need to purchase additional coverage for the parts. Before adding any aftermarket parts to your bike, find out whether you’ll need to purchase any additional coverage and how much that coverage will cost. You may decide the increased cost isn’t worth paying, especially since you’ll likely be paying it for the entire time that you own your bike. For help finding the most affordable motorcycle coverage available, contact our knowledgeable insurance agents that specialize in motorcycle insurance. Our agents are well acquainted with motorcycle policies and won’t just be able to get you quotes for policies from different Vermont insurers. 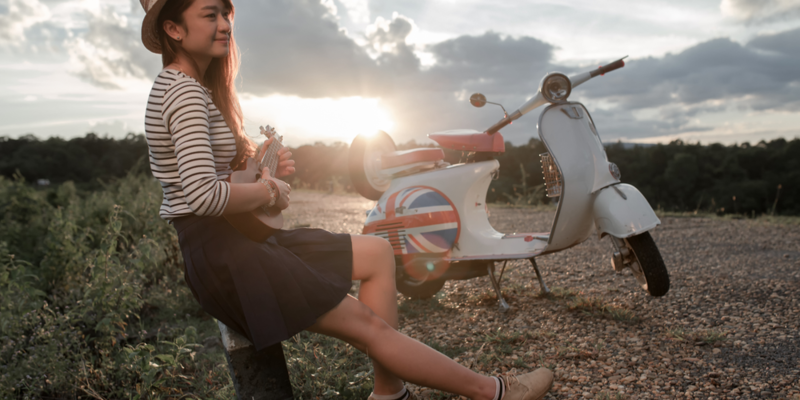 They’ll also be able to help you determine what type of bike will be the most affordable to insure without sacrificing any coverages that you need.